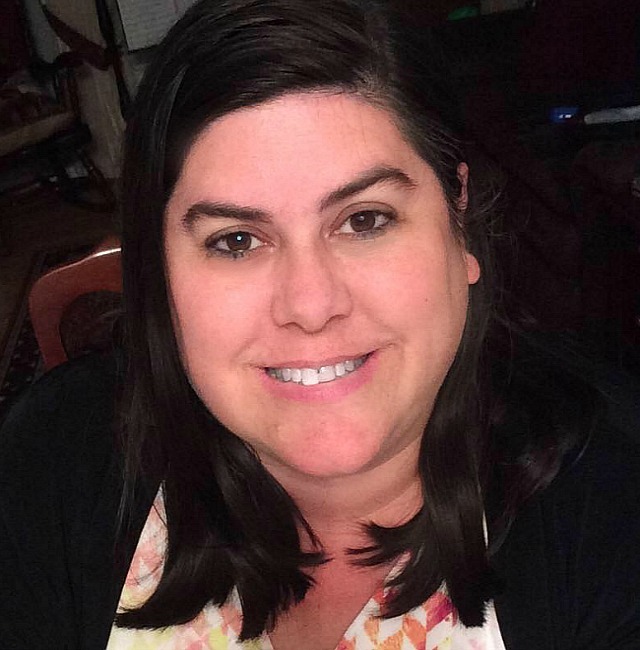 Halloween is such a fun holiday for kids. Sure, older kids love the haunted house and the scare factor. 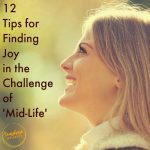 However, parents with young kids know that the ‘not-so-spooky’ spooky side of Halloween is just as much fun! 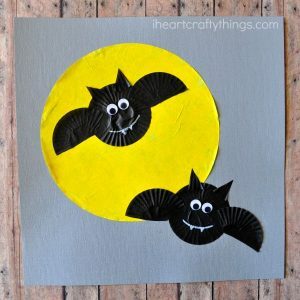 One super fun way to celebrate Halloween with young kids is to make super cute crafts together. 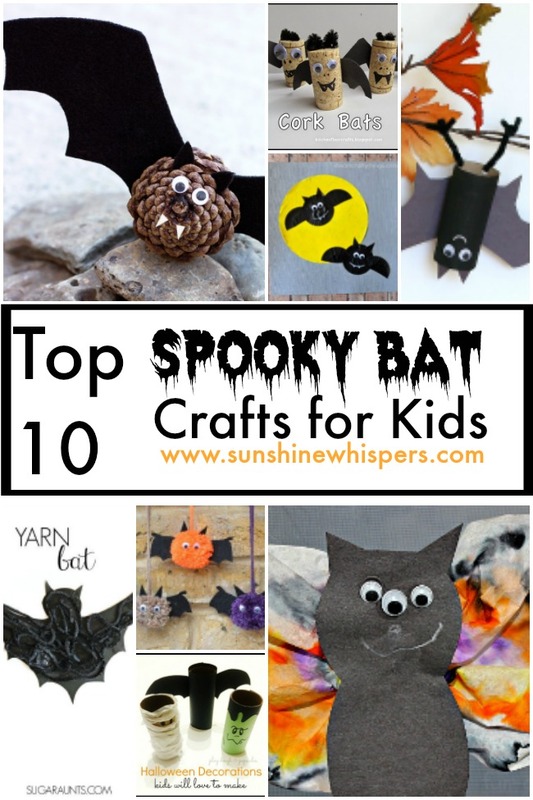 I am excited today to share these top 10 bat crafts for kids with you. 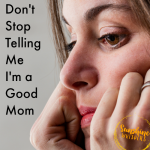 I think they are all so adorable and can’t wait to make a few of them with my daughter. Which one will you try first? 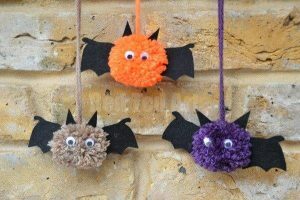 Check out these super cute pom pom bats from Red Ted Art. I love how simple they are, and seriously.. googly eyes! 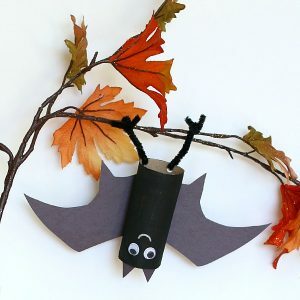 Grab some cardboard tubes and make these simple and adorable halloween craft ideas from Playdough & Popsicles. 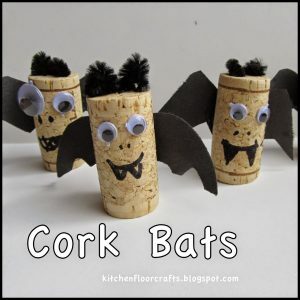 Who would have thought a simple cork would transform into a spooky bat craft. Great idea from Kitchen Floor Crafts! I Heart Crafty Things came up with such a fun idea here. 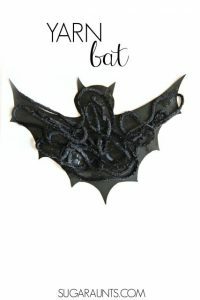 I think this wall hanging could make repeat appearances on the wall each Halloween. Such a cute keepsake! 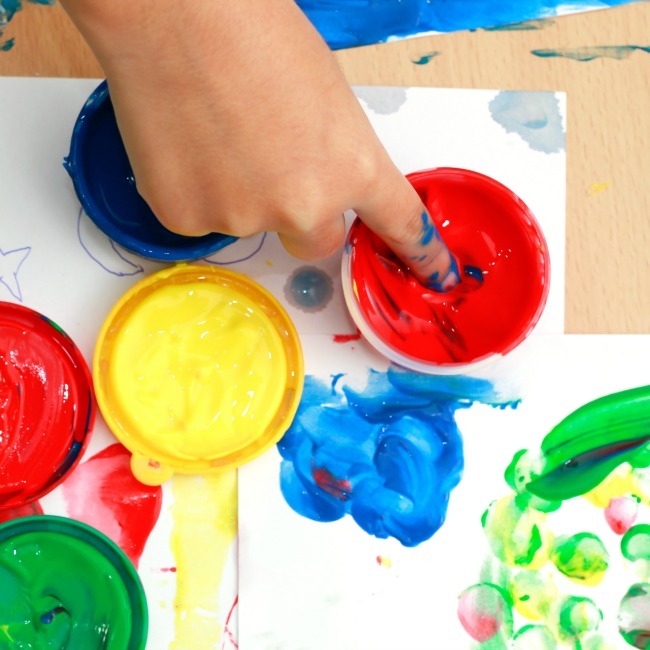 Watch your kid’s eyes light up when you tell them your craft will involve painting with black paint! Really cute craft idea from Fantastic Fun & Learning. 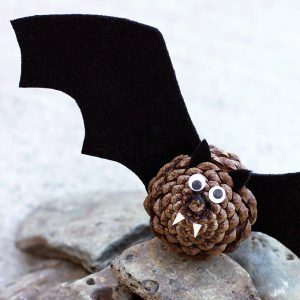 When you go on your fall nature scavenger hunt don’t forget to collect a few pinecones so you can make these bats from Fireflies and Mudpies. 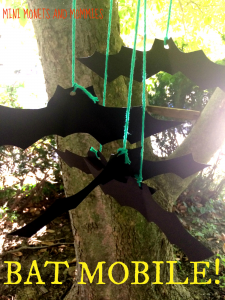 Mini Monet and Mommies designed a flying bat craft. This could be a fun way for your young kids to help decorate the outside of the house! 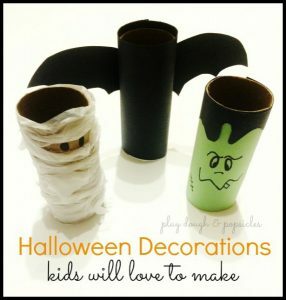 This is a really sweet craft idea for young kids from Sugar Aunts. 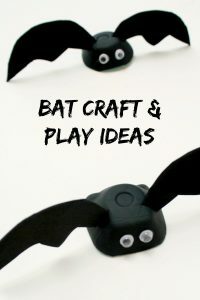 Oh goodness, this is such a sweet little bat craft idea from Buggy and Buddy. 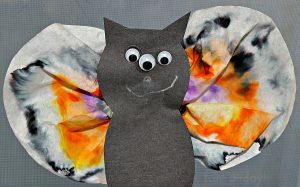 Your kids will love squirting water on coffee filters to make this fun bat craft from Fun-A-Day. I hope you have a very Happy Halloween. Thanks for tuning in! 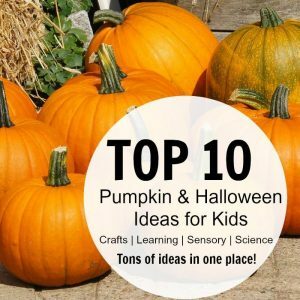 If you would like even more ideas for fun Halloween and fall themed crafts for kids, check out these posts too! Previous Post: « 23 Perfect Pumpkin Crafts for Kids! Oh my what adorable crafts!! So so cute!! Thanks for including our pom pom bats!! Thank you for thinking up such a cute craft!